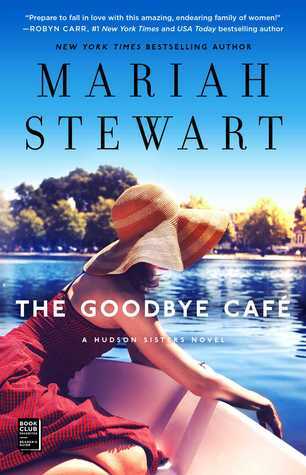 Goodreads: California girl Allie Hudson Monroe can't wait for the day when the renovations on the Sugarhouse Theater are complete so she can finally collect the inheritance from her father and leave Pennsylvania. After all, her life and her fourteen-year-old daughter are in Los Angeles. Kritters Thoughts: The third in a series and although each book moves from one character point of view to another, I would absolutely advise to start at the beginning of this series because there is so much groundwork with these sisters that you will need from book one to book to this one. This book centers around Allie Monroe who came to Pennsylvania from California and her daughter is spending the summer with her mom and aunts and gets really connected to the happenings in Pennsylvania and maybe they both realize that their life in California is in the rear window. I loved the added storyline in this book that made it more than the other two by adding in the mother/daughter relationship. These books could be defined as romance and in each book each sister finds a man to compliment their lives, but there was more to this one and I loved that. I am keeping my thoughts brief because I don't want to spoil too much and I really think you should start at book one for this series and meet the sisters there. This series and this author are nice easy reads that I love to insert in the middle of mysteries or historical fictions when I just want something nice, easy and breezy. I like this genre for its vacation like feel and enjoy reading them throughout my reading life.